Run SEGY-Y Loader and load the SEG-Y as channel gathers. Specify one of the headers as channel. Check the bin size, make sure it is correct (e.g. "Max fold 80"). Write the result to a .dugio volume. Add the volume to the session. 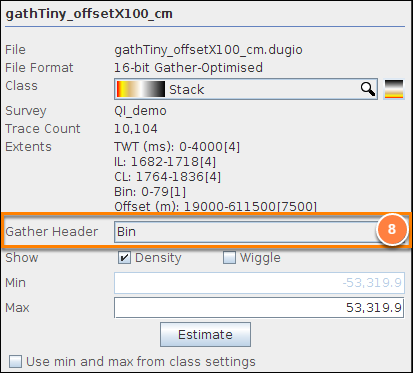 Set the Gather Header as Bin. 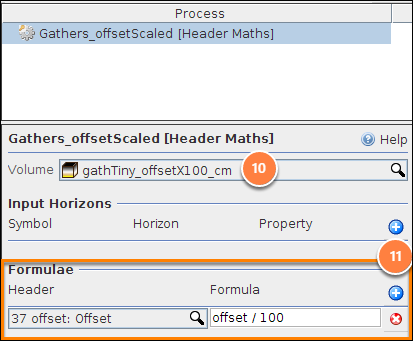 Create a Header Math process: "Gathers_offsetScaled"
Input Volume: select the added Gathers. In the Volume tab, select the Header Maths result volume: "Gathers_offsetScaled"
Export the volume "Gathers_offsetScaled" as DUGIO. Tick [X] the Add to session when complete option at the bottom. After the export completes, the new volume will be added to the session. If it isn’t, the “Add to session” option was not checked. Use the Import / Volume menu item in the Control Panel to add the exported dugio volume to the session. Select the new DUGIO volume. 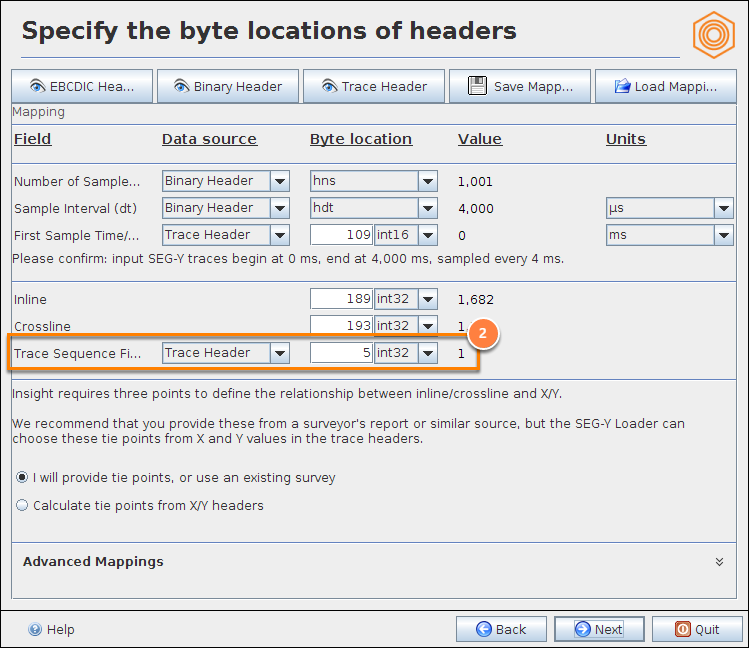 For Gather Header, choose Offset. The offset range should now be correct. 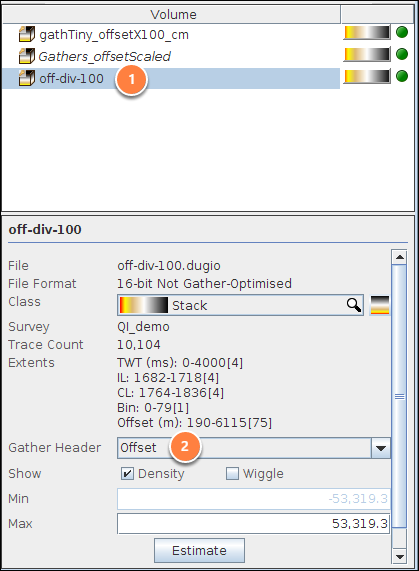 Offset Vol: Select the new volume. If the original unscaled gathers are in the session, the Offset axis will be huge (i.e. 100 times larger than necessary). 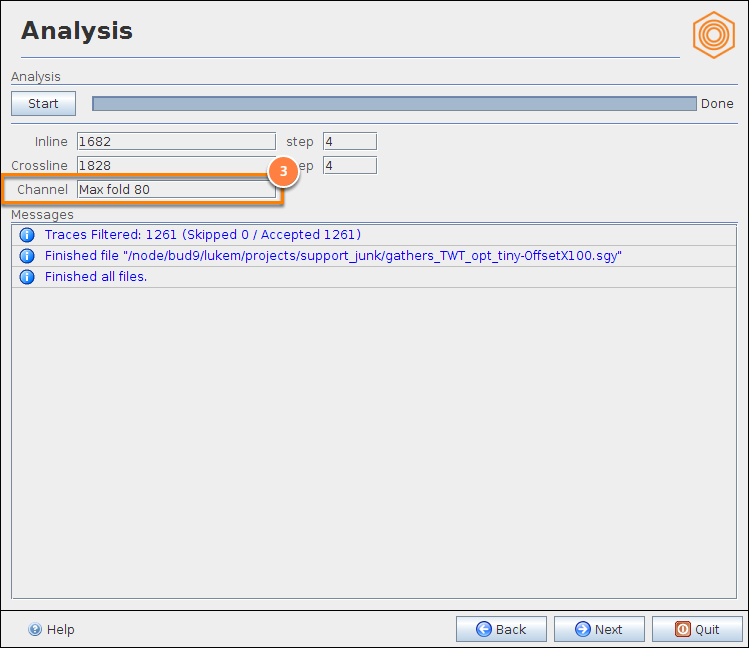 To correct the display, remove the original gathers from the session or zoom in to the left edge of the offset gathers. Prev: How do I update restricted, locked, protected trace headers like offset, inline and cmp?